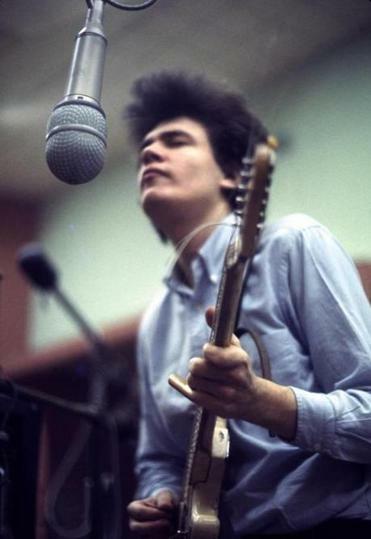 The late Michael Bloomfield (pictured), shown above at Columbia Recording Studio in Chicago in 1964, is the subject of a box set, produced by Al Kooper. 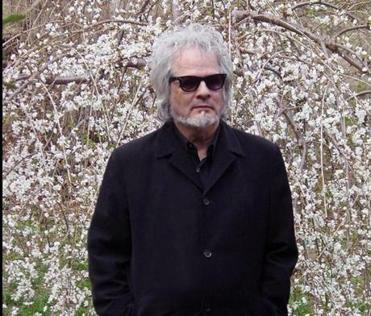 SOMERVILLE — Al Kooper still remembers the first time he met the guitarist Michael Bloomfield. He tells the story as if it happened yesterday instead of in 1965. That’s how vivid the memory is. It’s safe to say everything worked out for the best. During that recording session for Bob Dylan’s “Like a Rolling Stone,” Kooper went on to play organ on the song, which has endured as one of rock ’n’ roll’s most iconic riffs. His playing sticks in your mind as much as Dylan’s words. Kooper and Bloomfield had an instant connection that day, and Kooper, as a producer and fellow musician, would go on to champion his talent. But since Bloomfield’s death in 1981, Kooper has seen Bloomfield’s star dim among younger generations who aren’t familiar with Bloomfield’s music, even though he’s influenced everyone from Carlos Santana to Eric Clapton. That could change with “From His Head to His Heart to His Hands,” a new four-disc box set from Legacy Recordings that Kooper curated and produced. A year in the making and finally released earlier this week, it’s a loving tribute to an unsung hero of blues-rock guitar from his first studio sessions in 1964 to his final recordings in 1980. Over three CDs — “Roots,” “Jams,” and “Last Licks” — the set chronicles Bloomfield’s evolution through various bands (Paul Butterfield Blues Band, the Electric Flag), along with his solo work and collaborations with Kooper, Dylan, and Janis Joplin, among others. A fourth disc is a DVD documentary about Bloomfield called “Sweet Blues.” It all comes with an in-depth booklet featuring an essay by Kooper and a longer one by music writer Michael Simmons that probes Bloomfield’s origins as a kid growing up in Chicago who idolized that city’s blues masters. Talking to Kooper in the living room of his stately home here in Winter Hill, you get a clear sense that the project was a labor of love, one that brought him out of semi-retirement. Kooper, who turned 70 this week, moved to Somerville in 1997 to teach at Berklee College of Music. His rock credentials are apparent from the moment he greets a reporter at the front door, where a mat features a giant “M” instead of the expected “K.” (“It keeps the Al Kooper fans away,” he quips.) Photos of his famous collaborators, including Bloomfield, are in the entryway, and then there’s a leopard-print sofa that could belong only to a rock musician. An upstairs music room houses thousands of LPs. Kooper had worked with Bloomfield on a number of occasions, most notably on 1968’s “Super Session,” a seminal blues-rock album that also featured Stephen Stills. Kooper says he had a musical chemistry with Bloomfield that he hadn’t experienced before meeting him. Along with a trove of previously unreleased material, among the box set’s unearthed treasures is part of Bloomfield’s audition tape for John Hammond, the legendary producer who signed Bloomfield to Columbia Records. Kooper had to scavenge his basement to find the tape, which Hammond had given to him more than 40 years ago, when Kooper worked at Columbia. The box set’s liner notes make it apparent that Bloomfield’s acclaim among musicians is greater than his mainstream recognition. “Mike Bloomfield is music on two legs,” Clapton is quoted as saying.